Back in April, the website The Real Book Spy posted the below cover art for Anthony Horowtiz's Forever and a Day. The site doesn't specify any details, but it certialy appears this might the U.S. cover art, or at least temp art. Whatever it is, I like it! 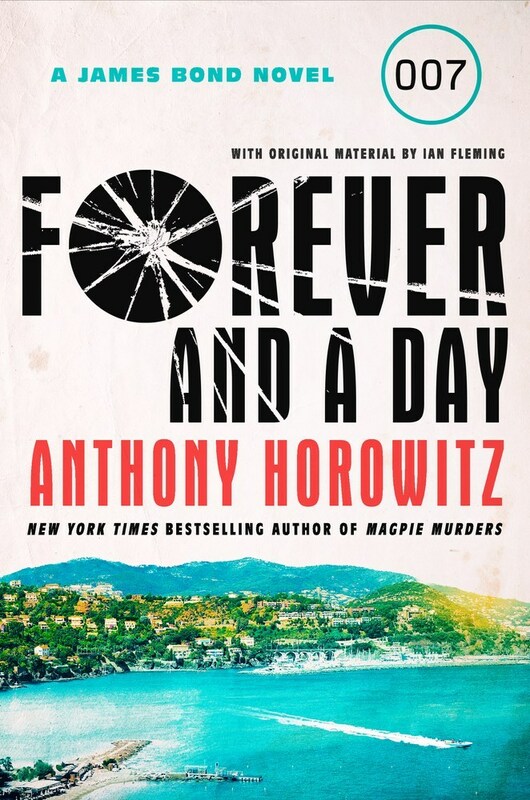 You can pre-order the U.S. edition of Forever and a Day at Amazon.com. Release date is November 6, 2018. This UK edition will be released on May 31. Thanks to Patrick Donahue for the alert. UPDATE: This art is now on Amazon, so it appears to be the confirmed U.S. cover.